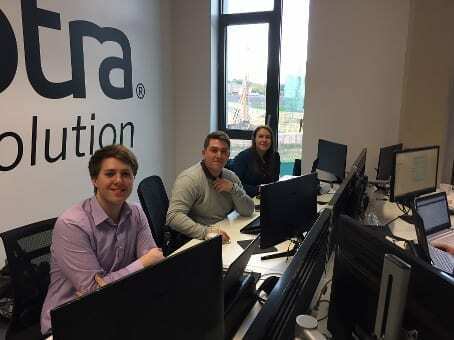 Invotra’s three new apprentices in our Newcastle office, and the hosting of a National Apprenticeship week salon at The Core in Newcastle, has gained Invotra recognition as a business investing in the future workforce of the North East. The Evening Chronicle’s article “Investing in the future: The North East businesses paving the way for the stars of tomorrow” has an interview with Allie Galvin, our HR director. It outlines how Invotra’s presence in the North East is growing, and how our Newcastle apprenticeships programme is an important part of this expansion.